I reviewed Word Cracker for iPhone a couple of months ago and loved it. An original, attractive and enjoyable puzzle experience, Word Cracker is a quiet, hidden gem on the App Store, and now EOZ Games have updated the game to make it even stronger. 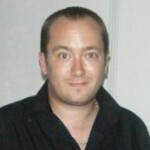 The main addition is a brand new game mode- themed play. 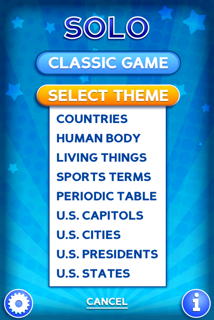 Featuring over 1300 new words, the new mode lets you pick a theme from the following: U.S. States, Capitals, Cities, Presidents, Countries, Periodic Table, Human Body, Living Things and Sports. Lets hope that EOZ keep supporting the game with new modes and words, as Word Cracker is a great little game that is still well worth a purchase.